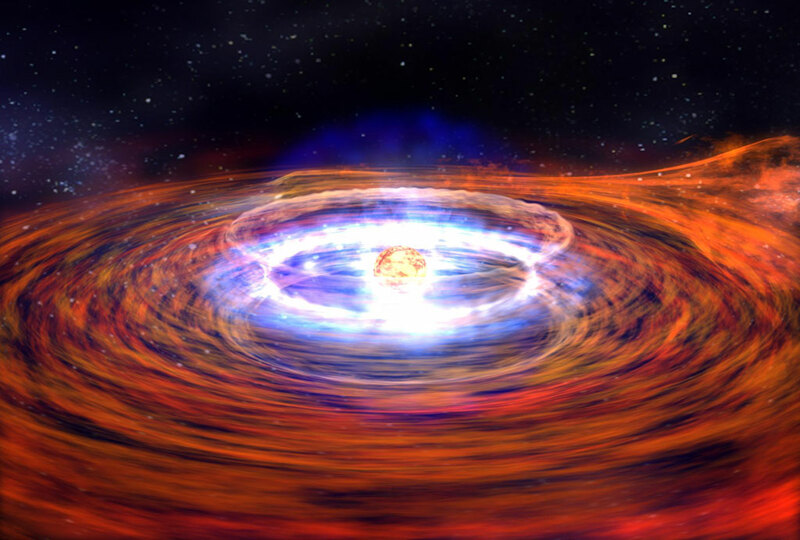 No, this post is not really about black holes. Though at times we all feel we are in a point from which no light can escape, and I guess there are times this deep into winter when we can get so wrapped up that events outside our dense little homebound microcosms cease to exist. But this post is about more concrete things than theories of relativity. Today I attended an ad hoc meeting called by one of the “firesouls” of our little CSE group. He was getting concerned that our vision was becoming diluted by the seemingly infinite possibilities of the gasifier and was looking for us to refocus on the Here and Now. This is very real problem in our group – we are all visionaries and have the cursed blessing of taking ideas and running with them. In other words we are *really* good at starting things…. finishing them is not a given. Ex. we are designing ethanol stills and tilapia water filters when the gasifier hasn’t even run an engine for more than 10 minutes yet. Oi. 15 Days: Design a small compressor and storage tank system to pre-charge the syngas to allow us a steady flow to the engine that can be metered. This sounds complicated, but we hope to have a compressed tank of syngas running a small engine and generator in this time frame. 30 days: Design an auger system to begin automating the pellet feed system while simultaneously design/build a simple triggered circut that will regulate that feed system. 60 days: This is a bit out, so we have little things like the construction of 2-3 more gasifiers in that window. Our hope is to have a bill of materials and hold some “work party” weekends to spread the labor and get more people skilled up. 15 Days: Procure 3 open top steel drums, 600/400/200/100 micron filters, and build a portable 12 volt pump system to move thick WVO around. 30 Days: FAb up a unit to hold a 55 gallon drum over a syngas burner, dry and filter 40 gallons of WVO, Build the processor and hook it up to the gasifier. 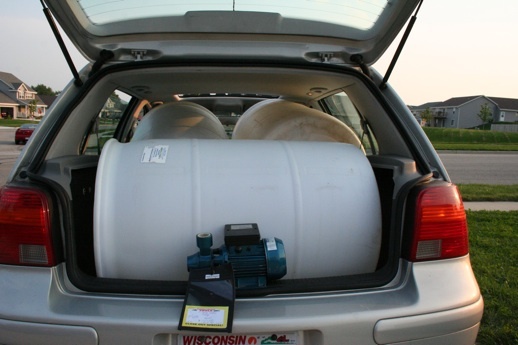 60 Days: run a batch of BD through the unit without blowing up, and… drive the Golf with first tank of homebrew! These are incredibly ambitious goals, but when you surround yourself with retired engineers, super tinkerers with incredibly rich and eclectic knowledge bases and computer technicians that have worked on Antarctic research stations your ideas of “possible” get goofy. Plus we are motivated both by the possibilities of the new administration and by the growing reality that the next decade will likely get weird in a Big Hurry. I am convinced that resiliency can no longer be an esoteric dream from an armchair, but has become a necessity that will take a crap-ton of work if we are to achieve it. The future we envision will not be given to our children unless it is first earned by us, their parents. Some of you may know that I helped to build a wood chip gasifier last winter. Basically it is a contraption that takes a carbon source (we use chipped wood) and breaks it down into carbon monoxide and hydrogen gas through pyrolosis (fancy burning). That gas is then used to power an Internal Combustion Engine. Our system is sized to run a 30hp engine, and we are working on two systems geared more to heat capture to increase efficiency. 30hp equates to about a 15kw generator -or enough power for a small home. Plus it makes a stink load of heat so water/space heating are options too. It cost under $500 and can run full throttle for an hour on 10#’s of chips. So we now have this virtually free source of heat and electricity. And I now have a diesel vehicle. Making Biodiesel takes 3 things (other than the processor): waste grease (I live in Wisconsin), electricity to run pumps, and heat to dry the grease and facilitate the reaction. The processor I am building can handle up to 12,000 gallons a year. I need about 600. That means I have built a machine that can create a significant surplus if I can find enough waste oil. Huh. Waste Veggie Oil may not be around forever, and I like to grow things, so I also looked into growing oil seed crops. For simplicity sake, lets use an annual crop like canola rather than a permaculture perennial fuel crop system (you could use hickory and take the prunings to power the gasifier for starters and still have a complete understory to play with for other plants). If I can find a farmer to grow 80 acres of Canola I can press 12000 gallons of oil out of it. I also just happen to know of someone that bought a commercial cold press from Austria a few years ago. The thing about pressing oilseed is you are left with all this mash. That mash is still rich in starches/sugars plus protiens and fibers. Talking with my farmer mentor who is really into ethanol, it turns out that this mash would make quite a bit of ethanol too. Like another several thousand gallons. Huh. But then we still have mash left after that. That mash is still full of cellulose and protein. It can either be fed into a animal digester (hogs, cows, chickens or tilapia come to mind) or a methane digester to further gain efficiencies. Now we are either making even more electricity or a lot more food. The gasifier would actually partner REALLY well with a greenhouse Tilapia operation solving most of the sustainability concerns, and using cattails as the water filter to grow even more ethanol feedstock. Huh. All of this permaculture energy and food growing could be bundled up into a Community Supported Energy (CSE) organization. Community members would buy “shares” of energy (ethanol or biodiesel) which would be delivered monthly/weekly/as needed -the literally tons of tilapia would be a bonus! The subscribers get the energy they want, the budding energy technician can produce clean renewable fuels for a living wage. If it sounds like a CSA that is the point. We haven’t even begun to think this through yet (like canola is a low grade fuel crop planted in a monoculture), but there are ALOT of people who have -David Blume of Alcohol Can Be a Gas fame is one. As resources decline, people will need local energy as much as they need local food, probably more as making energy is much more specialized than growing food. Plus its really damn interesting. I got one…and its a Doozy. Anyone good at writing grants? I have been scouring the region for plastic barrels and steel drums, and finally I was able to get my hands on 3 white (so you can see how full they are) plastic barrels for $20 each. Best of all I was able to fit all 3 into the golf in one trip!! The cubic feet available in that hatch is flipping unreal. One drum will be a washing tank for the processed Biodiesel, one will be used to store finished BD, and the final one will be an additional storage tank for WVO as it ages. This will give me the ability to have WVO on site that is “new” and another tank (likely the well tank) that is ready to go. Nice. Also in the pic is the 1″ “clear water” pump from Harbor Frieght. These little pumps are almost legendary for their utility and bulletproof history. While typically $40 -already a steal, my good luck continued as this was their display model and they had it 50% off! This pump will be used to move fluids all around the system- from the settling tank to the processor, for mixing the WVO into BD, for transferring the BD into the wash tank where it will also do the washing, and then finally it should be able to pump the clean diesel into the storage tank. To have one pump do all that, you need ALOT of valves. I picked up 5 3/4″ brass valves at Farm and Fleet today for $5.50 each. Very close to completing the gathering phase, soon it will be time to assemble! Total outlay so far is $275 with around $100 to go -all this for a kit that can make 2500 gallons of fuel per year. Unbelievable. With another $100 invested for more washing and settling tanks the kit can do 12,000+ gallons per annum -a batch a day. Sourcing feedstock for that would be a chore though. Hopefully the 15 gallon carboys I found on eBay will get here soon so I can start gathering WVO -if so I will be on track for my 10/31 deadline! Even buying everything with the optional carboys and burners! The kerosene burner will let me heat/dry the biodiesel using biodiesel (less than .25 gallons per batch of 40 gallons) and the 15 gallon carboys will make sourcing the Waste Veggie Oil (WVO) much easier as they are sized to be able to be picked up. This set up will let me make a batch a week, or 2500 gallons annually which is 400% more than I need. Pricing of methanol drives my final price, but it looks like final product will be about $1.50/gallon vs. $4.05. Payback will occur at about 200 gallons, or 4 batches. Nice. I only use about 30 gallons a month so figure 6 months of time or, what, about a 100% APR on my investment not factoring time. I’ll take it. After I have the process worked out so that I can make good fuel consistently, I would like to begin switching from methanol to ethanol as the catalyst. Methanol is sourced from natural gas, and is much more toxic than ethanol. In the end I would like to grow an oil crop like canola or sunflowers, press the oil out using a screw press and make BD out of the oil. the left over seed cake can then be processed into ethanol, with the left overs there either feeding livestock or going into a methanol digester. This system can work, though I am not aware of a setup that interconnects them in such an intergrated permaculture way. So that is for 2009! The past two weeks have been insane. First we ran out to SW MN to nab our newest vehicle and less than a week later I delivered my beloved Honda Insight to its new owner (not so bad as he is the farmer that loans me all the land for my projects). Then Labor Day weekend we took a whirlwind trip back to SW MN to visit my in-laws and take the first camping trip with our little’uns at Blue Mounds State Park. The State Park was much cooler than I expected. The “mound” is a large bluff with exposed Quartzite and houses the only public Bison herd in MN -though they are fenced in which was a buzzkill. It was great to make smores with the kids and begin teaching my kids how to tend fires. So many cool things-a pair of Katydids took up residence under our rainfly and serenaded us each night; the kids were able to watch bats on the hunt, and I was able to hike 5 contiguous miles through restored prairie in full late summer bloom. The Golf TDI got 52 mpg on the way out and 51 on the way back with the cruise at 70 mph. Nice. With stress levels high from overextending all year, we have put all fall market garden plans on hold. As crops come down we are putting them in covercrop, and taking time off until I plant the hoop house to spinach and mache in 3 weeks. I am trying a annual only cover crop on one plot to see how it preforms. Thrown in are Wasaba Oats, Japanese Buckwheat, Oilseed Radish, and Yellow Field Peas. The oats are for straw biomass, the buckwheat is for quick cover, the radish is pure experiment as I have never grown it and want to see it in action -hope is for decent below ground biomass, and the peas are for nitrogen. All will kill at zero degrees to leave a nice mat of mulch for the spring crops. This is where my heart and mind are at right now. Tons of time online researching this and a couple of books from Chelsea Green on the way as well. After looking into most of the “turn key” systems out there -most of which run over $3000, I have decided on a processor that is based on the Appleseed Biodiesel Processor. The Appleseed is essentially an open source project of backyard handy men/women working together to find a workable and safe solution. The design they have come up with is uber simple and can be made out of reused junk if need be (sounds like our gasifier! ), but even sourcing everything new will cost under $5-700 for system that can easily do 2000+ gallons of biodiesel a year. As my goal is to have one up and running by Halloween/Samhain, expect alot more posts on this in the coming months as my focus switches off of farming for the season. A year or so ago I was introduced to terra preta and it blew my mind. As I got more interested in our gasifier project we realized we would have a ready source of biochar and could actually start to make terra preta nuevo here in Wisconsin. When my brain is melted from reading about and designing biodiesel processors I am pouring over Cornell research papers on this subject. Again, look for more in depth posts on this. Adding DEEP fertility while sequestering carbon from a system that can heat and power a building -count me in! The End Goal is to build an “Energy Shed” that will house a gasifier whose waste heat and electricity are powering bio-diesel and ethanol processors, and the waste products from these operations will the heat and power a multi use greenhouse growing greens and veggies and housing tanks of Tilapia for protein that will be fed off the mash from the ethanol still. Waste from the fish will then be turned back into the fields as fertilizer to complete the cycle. Permaculture in action! The MK IV cars (1999.5-2004) come into the world with 90hp/155lb ft torque. They also make a routine of going 700+ miles on their 14.5 gallon tanks (45-48mpg). They also come very well equipped 4 wheel disc brakes, side curtain air bags, and lots of luxury items in the GLS models. The mileage is great, but I need a bit more power to tow my barrels. Luckily the tuner community has lots of answers. “Chip” tuning will clean up the fuel map and bump the boost up a bit to 18.5psi max. This get you another 10hp and real close to 200#/ft of torque. 2.5″ Down Pipe and performance cat and remove the muffle (diesels are quiet) gets you a broader power band (turbo spools 300rpm’s sooner), a handful of ponies/torque, but more importantly let the turbo breather better and lowers your Exhaust Gas Temps (EGT’s) by several hundred degrees (reduces stress on engine components/oil). This one is optional and will only get done if I see my EGTs going up on towing runs. There are many drivers with these mods in the “800 Club”: 800 miles on one tank That’s 55mpg in vehicle that can tow 2000#’s while seating 4 adults in 5star safety. Nice. First contact at our local China Buffet -permission granted to salvage their grease! Spoke to my farmer friend and he is willing to donate space for a Processor-I am not willing to have 99.5% pure Lye and Sulfuric Acid within reach of the kiddos. Our discussion grew into making an “Energy Shed” to house a gasifier, Bio Diesel Processor, and an Ethanol Still. Huh. Emailed out to several Craigs listers with various Processor Bits for sale -mostly large drums, pumps, etc. Looks like a 50 gallon sized still can be made for under $1000. That is big enough for 2500 gallons a year or so. That would be 112,000 TDI miles so there is room for 3-4 more in the project, or more likely I only run it once a month. Time will tell where this goes. I would be happy making 5-10 gallons weekly, but it seems that the effort is about the roughly same if you make 1 gallon or 40. If I proceed, it will likely be with a 5 gallon mini processor to get the feel of it, and then maybe ramp up to a 50 gallon processor if it seems doable. Price for BD home brew seems to be in the $1 range these days -driven mostly by the price of methanol which I still need to find a local supplier for. Much of this was mulled over while harvesting (and selling!) my 900th pound of potatoes. Still 3-500 pounds left! 3 years ago I bought my beloved Honda Insight… a 2001 5spd with 54k miles on it. I have absolutely adored that car -it was literally the only car that could have broken by affair with Big Speed and my modified 330hp Mitsubishi EVO 8 race car. The Insight was everything I wanted -wicked huge mileage -peaking as high as 102.2, rolling poster child for “a Better Way”, and a nice slice of minimalism in a life that is not yet bike friendly. But in the past year our need for a second car that can either tow a trailer for our Eco LLC business or have a backseat for the kids has increased as our little uns begin to get Involved: swim and ballet lessons, sports, play dates, etc. Out here in the rural suburbia seemingly everything, be it groceries or a pool, is 10 miles away. So we began to look at options. 4 Months ago I was completed smitten with Plug In Priuses. 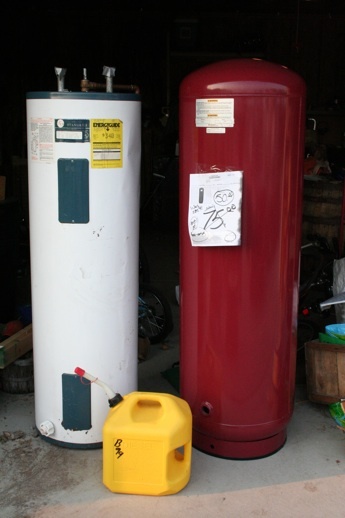 Sure the $30k buy in ($20k + $10k conversion) was uber steep, but I had a plan to sell 160 rain barrels in the next two years to cover at least the cost of the conversion. Then oil hit $140+ and inflation crested 5%. That Prius became $35k as used hybrids appreciated and we struggled mightly to sell our first load of rain barrels as America (finally!) tighten her belt. We’ve sold most of the barrels, but just barely and selling another 100 is not likely since the majority went to one buyer. But we still need a high mileage 4 seat car. So 3 weeks ago I began to look very seriously for a used VW TDI. There were never a ton of these on the road (thought the 2006+ are MUCH more common!) and they are also in demand. Prices are ranging from 10-30% above Kelly’s Blue Book -and most buyers are flying in to get them and driving them 3 states home. I had 4 semi local cars slip through my fingers -even calling within an hour of the ad posting is not enough to get these. Then just this week I found my new car. I had email Mia my “Dream Ad” and don’t you know it, I came home from work to find a new Ebay listing that matched it perfectly. 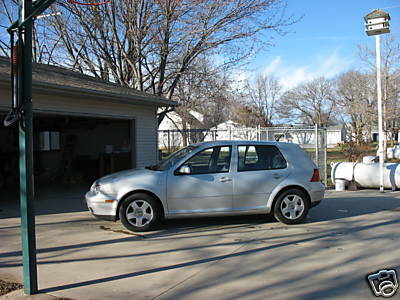 Its a 2000 Golf TDI GLS 5spd with about 110k miles on it. I am as vain as the next guy so I wanted it loaded -moonroof, premium sound, and heated seats (these little diesels take like 20 miles to heat up in the winter) and I found it on Ebay. 4 doors, super clean, and I bought it for $4k less than I am selling my Insight for so the budget is uber happy. Its in MN so I am bumming a ride with family on their return trip to South Dakota this weekend. More on why I bought a TDI -this paragraph gets more than a little Car Guy. Most guys driving them are getting 42-48mpg every single tank -and the hypermilers are getting 60mpg! Second, they can be turned into nice little tow vehicles. In Europe these engines have about 20 more hp -and the only part change is larger fuel injection nozzles-about $300. You can also add a “chip” that remaps some of the boost parameters for the turbo and get another 10-15hp. More importantly you can also get another 80 ft/lbs of torque making the Golf a better tow vehicle than our Forester. Open up the exhaust with a bigger down pipe off the turbo and you can keep your Exhaust Gas Temps down too and add a few more ponies. Here is the kicker -there are many guys with these mods still getting over 50mpg every single tank. You only use the extra fuel and boost of the mods if you push the engine hard while accelerating/towing. Even still, I have yet to see anyone on the forums at TDI CLUB getting under 40mpg in a modded 5spd. Nice. Are hybrids more efficient? You bet. But they can’t tow, cost over twice as much, and I can’t make my own fuel in a pinch. I am very happy with my decision and will likely start doing some home bio-diesel processing using Journey to Forever’s 5 gallon “Test” kit this Fall. Making 5 gallons a week actually would cut my Dino Fuel use 100 gallons anually over a standard Prius. I have already found a source for grease, just need to build the kit. In my “spare” time. Very sad to see my beloved Insight going away, but also excited for the future!